Activate Cart on your multi-tool campaigns and allow your supporters to add on items when registering for your event. Allow your supporters to take care of everything they need for your run/walk in a single transaction. They can register, purchase a t-shirt, and make a donation to your organization - all in one place, all in a single transaction. 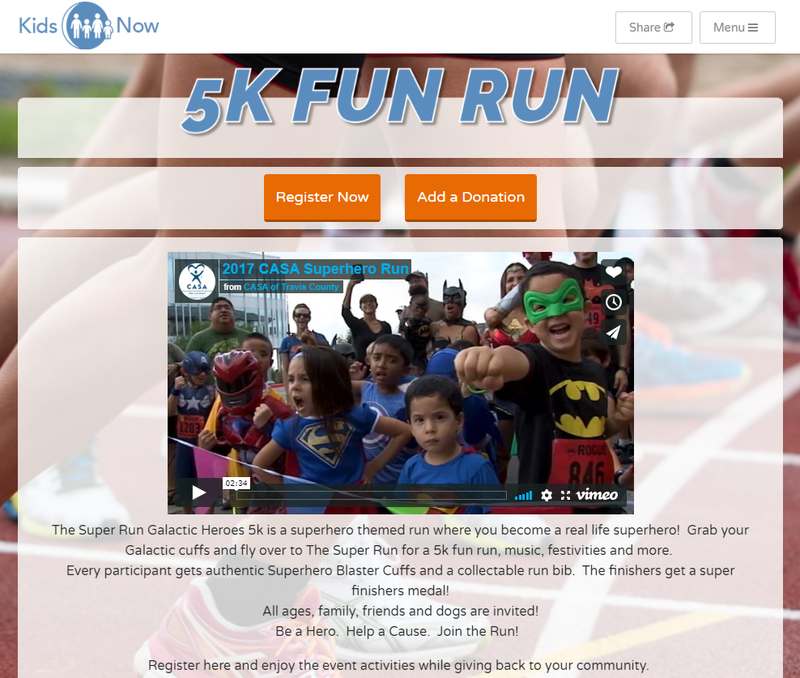 Here is an example of a supporter who just registered for a 5K Run/Walk, they are now being prompted to "Add a T-shirt" or "Add a Donation" to their registration. Custom questions can now be applied to ticket/registration types - this is great for when your registration options are Adult/Youth or Member/Non-Member. For example, your 5K might have a Youth ticket type that requires an adult to participate in the event with them. You can add a custom question to Youth ticket types only that asks for the name of the adult that will be participating in the run/walk with them. By adding this custom question to just the Youth ticket type, it ensures that only those who purchase a Youth ticket will need to fill out this information. Alternatively, you can add a custom question at the order level, this requires everyone who interacts with your campaign to fill out this custom question regardless of what they add to their cart. You can now personalize your waiver based on registration type. For example, if you have a registration type for participants under 18, you can customize the waiver to be signed by a legal guardian. Now that your supporters are able to interact with multiple engagements in a single transaction, you can create coupon codes that apply to only specific items in your campaign. For example, in this 5K campaign, your supporters are able to register for the run/walk, donate to your organization and buy a t-shirt all in a single transaction. 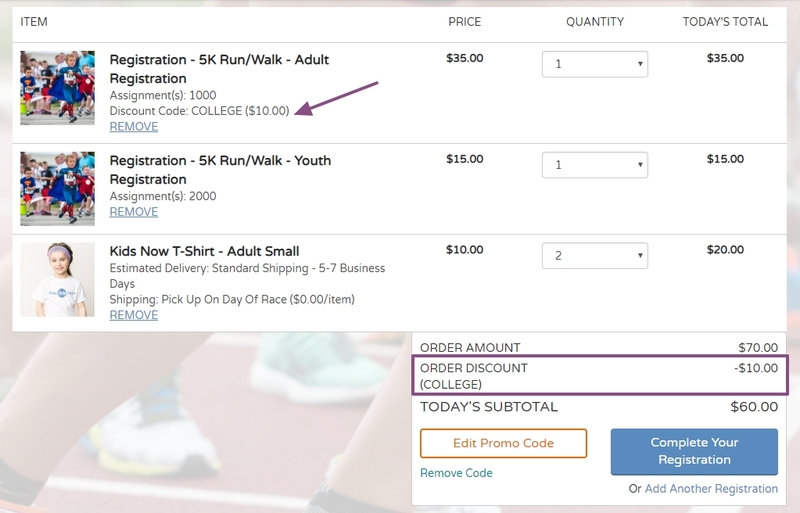 In addition to creating a coupon code that would apply to the entire order, you can now create a coupon code that only applies to specific registration types. Here is an example of a coupon code I want to offer to college students. The $10 off coupon code only applies to the Adult Registration type. To give you further flexibility and customization. You now have the ability to add shipping or sales tax to each registration type as well.